Alexandrium minutum is a small dinoflagellate that forms algal blooms in many coastal regions around the world. It was originally described from a red tide in the Alexandria harbour. Toxins produced in high concentrations by these single-celled organisms are responsible for many global cases of paralytic shellfish poisoning (PSP) in humans. Toxins may also affect other components of the ecosystem including mammals, birds, fish and zooplankton. Alexandrium minutum is a toxic single-celled armoured dinoflagellate that is well characterised morphologically in Balech, 1995. Cells are spherical in shape and small-sized, 15 to 29 um in diameter. The cell is green-brown in colour with a theca (clear protective covering). Small details on this theca differentiate A.minutum from other Alexandrium species. Cysts of A. minutum are from spherical to slightly flattened in shape and from circular (25–35 um diameter) when seen from above to oval (28–35 um long, 20–30 um wide) in lateral view. The most common cell content is granular material and a more or less condensed yellow–orange accumulation body. Nevertheless, globular content is also observed in some cysts (Bravo et al., 2006). Alexandrium minutum is found in warm, temperate, coastal and estuarine waters. It has been reported over a number of geographical areas and in a wide range of coastal hydrographic regimes (i.e. Hallegraeff et al., 1988; Yoshida et al., 2000; Usup et al., 2002; Vila et al., 2005). A. minutum is the most widespread toxic PSP species in the Mediterranean Sea, and is one of the two main causative organisms responsible for the incidence of PSP in Southeast Asia (Vila et al., 2001; Lim et al., 2006). It seems to be restricted to coastal enriched sites, particularly harbours, estuaries or lagoons (Giacobbe et al., 1996, Vila et al., 2005). In the field A. minutum has been related to low salinities and nutrient-rich freshwater inputs in such way that the existence of local freshwater outflows seems to be an important factor in the ambient where this species blooms (Cannon 1990, Erard-Le Denn 1993; Vila et al., 2005). However, the euryhaline and eurytherm character of this species is well known and has been proved from culture experiments (Grzebyk et al., 2003, Cannon 1996). The growth rate of A. minutum increases with increasing temperature and irradiance (Lim et al., 2006); nevertheless it has shown that it is also possible reach relatively high growth rates (up to 0.5 div day-1) at 12ºC after a period of adaptation (Cannon 1996). Cysts in bloom areas are associated with fine organic estuarine and coastal sediments, e.g. along the Catalan coast (NW Mediterranean Sea) blooms are associated with local accumulation of cysts in confined water areas (Garcés et al., 2004, Bravo et al., 2006). Reproduction in A. minutum is asexual and sexual. A. minutum reproduces asexually by binary fission. In sexual reproduction, gametes fuse to produce resting cysts. Cysts fall into sediment and lie dormant until conditions are favourable. They then germinate to produce vegetative cells (Probet et al., 2002). Blooms of A. minutum generally occur in spring, when the water column is stable, nutrients availability is high and conditions are suitable for germination of cysts. Growth is influenced by temperature, light and nutrient availability (NIMPIS, 2002). Recommended citation: Global Invasive Species Database (2019) Species profile: Alexandrium minutum. Downloaded from http://www.iucngisd.org/gisd/species.php?sc=1023 on 21-04-2019. Alexandrium minutum produces toxins which are toxic to some zooplankton and fish and can reduce copepod reproduction. The toxins are bioaccumulated in zooplankton, shellfish and crabs, the consumption of which can lead to paralytic shellfish poisoning (PSP) in humans and other mammals. The toxins responsible for this disease are neurotoxins, which in humans may cause muscular paralysis, neurological symptoms and, in extreme cases, death (Hallegraeff, 1993; Van Dolah 2000). Due to the potential for disease outbreak the occurrence of algal blooms near shellfish farms usually results in their closure, which results in economic losses. Prohibition of wild harvesting will also impact on local tribe or populations that rely on shellfish as a food source (Magda Vila., pers.comm., 2007). All of the non-native potential target species identified in this report are ranked as high, medium and low priority, based on their invasion potential and impact potential. Alexandrium minutum is identified as one of ten potential domestic target species most likely to be spread to uninfected bioregions by shipping. A. minutum is also identified as one of ten most damaging potential domestic target species, based on overall impact potential (economic and environmental). A hazard ranking of potential domestic target species based on invasion potential from infected to uninfected bioregions identifies A. minutum as a 'high priority species' - these species have a reasonably high invasion potential and their impact potential is the highest of all the potential domestic target species. Following an algal bloom in the Penzé River, France in 1997, Alexandrium cells were observed to be infected by sporocysts of the parasite Parvilucifera (Apicomplexan) (Erard-Le Denn et al., 2002). The parasite was also reported from Spain infecting A. catenella during a bloom in Tarragona harbour (Delgado, 1999) and from scandinavian waters infecting Dinophysis (Norén et al., 1999). The parasite was found to infect laboratory cultures of several other dinoflagellate species, and estimates of parasite-induced mortality indicate that this parasite is capable of removing a significant fraction of dinoflagellate biomass in a short time, raising the possibility of its use as a biological control agent of toxic dinoflagellate blooms (Delgado, 1999; Erard-Le Denn et al., 2002). However, the effect of this parasite on natural population of A. minutum populations did not induce to the bloom decrease at least in two bloom episodes (Probet, 1999; Vila et al., 2005). Informations on Alexandrium minutum has been recorded for the following locations. Click on the name for additional informations. Delgado, M., 1999. 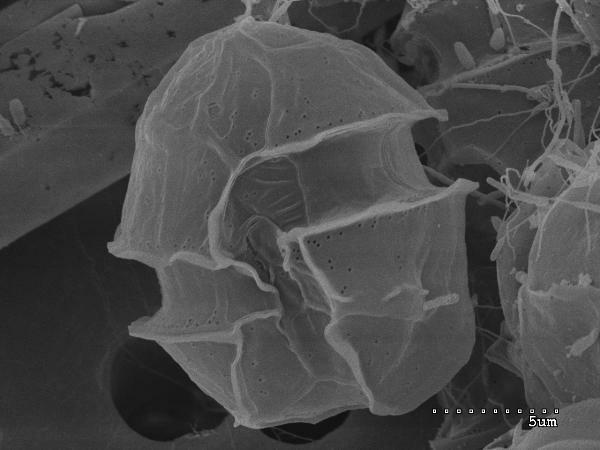 A new diablillo parasite in the toxic dinoflagellate Alexandrium catenella as a possibility to control harmful algal blooms. Harmful Algae News 19, 1-3. Furones D, Vila M, Garc�s E, Sampedro N, Arin L, Mas� M, Camp J, Delgado M, Fern�ndez M and Diog�ne J. (In press). The monitoring programme for marine toxins and harmful phytoplankton in the Catalan coastline, North Western Mediterranean, Spain. International Conference on Molluscan Shellfish Safety (ICMSS04). 2004, Galway, Ireland. Galluzzi, L., Penna, A., Bertozzini, E., Vila, M., Garc�s, E. and Magnani, M. 2004. Development of a Real-Time PCR Assay for Rapid Detection and Quantification of Alexandrium minutum (a Dinoflagellate), Applied and Environmental Microbiology 70(2): 1199-1206. 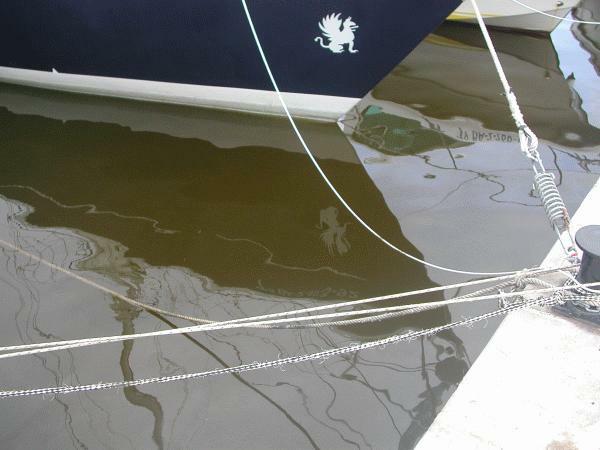 Summary: HAE-DAT is a meta data base containing records of harmful algal events. HAE-DAT contains records from the ICES area (North Atlantic) since 1985, and from the PICES area (North Pacific) since 2000 (in prep.). IOC Regional networks in South America and North Africa are preparing to start contributing. Hallegraeff, G.M., 1993. A review of harmful algal blooms and their apparent global increase. Phycologia 32, 79-99. Hallegraeff G.M and Bolch CJ, 1992. Transport of diatoms and dinoflagellates resting spores in ships� ballast water: implications for plankton biogeography and aquaculture. Journal Plankton Research 14: 1067-1084. Hayes, K. R., R. Cannon, K. Neil, and G. Inglis. 2005. 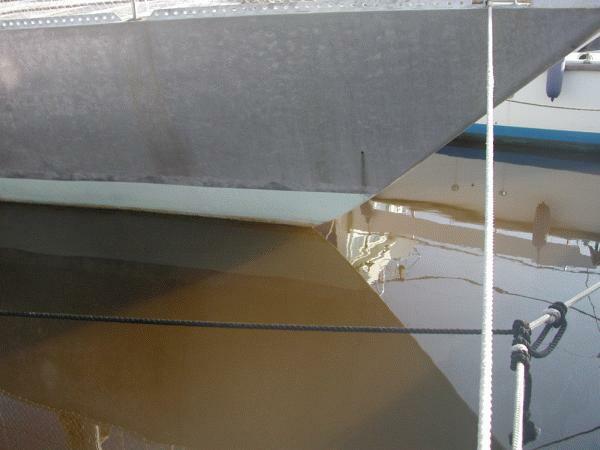 Sensitivity and cost considerations for the detection and eradication of marine pests in ports. Marine Pollution Bulletin Article in Press, Corrected Proof - Note to users. Laabir M and Gentien P, 1999. Survival of toxic dinoflagellates after gut passage in the Pacific oyster Crassostrea gigas Thunburg. Journal Shellfish Research 18: 217-222. Moestrup, �., Codd, G.A., Elbr�chter, M., Faust, M.A., Fraga, S., Fukuyo, Y., Cronberg, G., Halim, Y., Taylor, F.J.R., Zingone, A., 2002. IOC Taxonomic Reference List of Toxic Plankton Algae. National Introduced Marine Pest Information System (NIMPIS), 2002. Alexandrium minutum reproduction & life cycle. National Introduced Marine Pest Information System (Eds: Hewitt C.L., Martin R.B., Sliwa C., McEnnulty, F.R., Murphy, N.E., Jones T. & Cooper, S.). Nor�n, F., Moestrup, O., Rehnstam-Holm, A., 1999. Parvilucifera infectans Nor�n et Moestrup gen. et sp. nov. (Perkinsozoa phylum nov.): a parasitic flagellate capable of killing toxic microalgae. European Journal of Protistology 35(3), 233-254. Van Dolah, F.M. 2000. Marine algal toxins: origins, health effects, and their increased occurrence. Environ. Health Prespect. 108:133-141. Vila, M., Camp, J., Garc�s, E., Mas�, M., Delgado, M., 2001. High resolution spatio-temporal detection of potentially harmful dinoflagellates in confined waters of the NW Mediterranean. J. Plankton Res. 23(5), 497�514. Balech, E., 1989. Redescription of Alexandrium minutum Halim (Dinophyceae) type species of the genus Alexandrium. Phycologia 28(2), 206�211. Balech, E., 1995. The Genus Alexandrium Halim (Dinoflagellata). Sherkin Island Marine Station, Sherkin Island Co., Cork, Ireland. Bolch, C.J., Blackburn, S.I., Cannon, J.A. and Hallegraeff, G.M.1991. 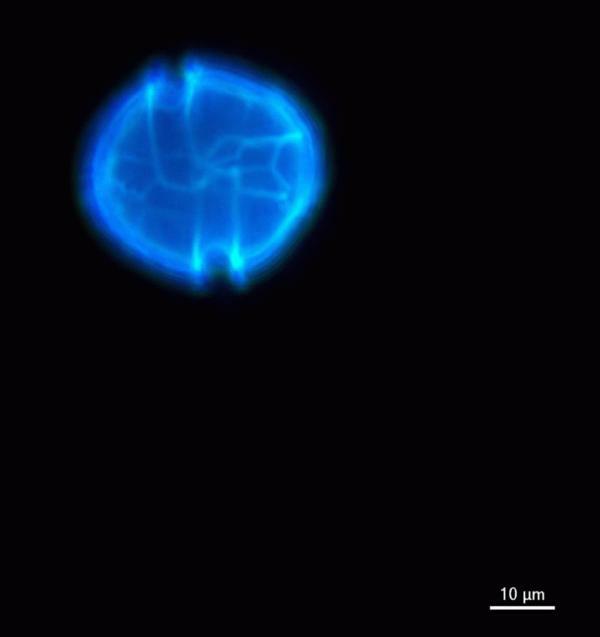 The resting cyst of the red-tide dinoflagellate Alexandrium minutum (Dinophyceae), Phycologia 30(2): 215-219. Bravo I, Garc�s E, Diog�ne J, Fraga S, Sampedro N, Figueroa RI., 2006. Resting cysts of the toxigenic dinoflagellate genus Alexandrium in recent sediments from the Western Mediterranean coast, including the first description of cysts of A. kutnerae and A. peruvianum. Eur. J. Phycol. 41:293�302. Cannon, J.A. 1996. Competition between the dinoflagellates Alexandrium minutum and Prorocentrum micans in the Port River, South Australia. In: Yasumoto, T., Oshima, T., Fukuyo, Y. (Eds. ), Harmful and Toxic Algae. IOC of UNESCO, pp. 381-384. Delgado M, Estrada M, Camp J, Fern�ndez J.V, Santmart� M, Llet� C., 1990. 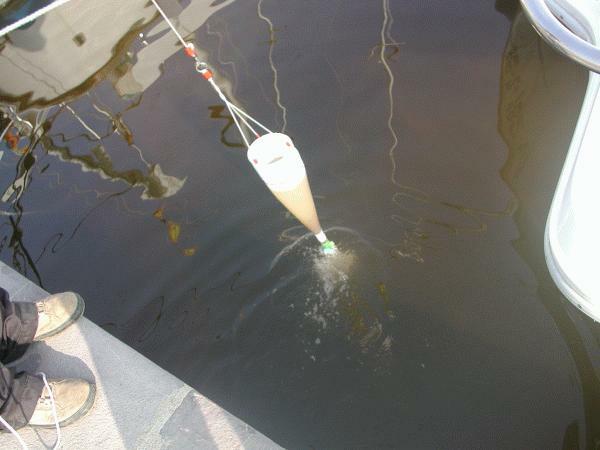 Development of a toxic Alexandrium minutum Halim (Dinophyceae) bloom in the harbour of Sant Carles de la R�pita (Ebro Delta, northwestern Mediterranean). Sci Mar 54: 1-7. Erard-Le Denn E 1997. Alexandrium minutum. In: Berland B, Lassus P (eds) Efflorescences toxiques dans les eaux c�ti�res fran�aises. Rep�re Oc�an, V 13, p 52-56. Erard-LeDenn, E., Chretiennot Dinet, M.J., Probert, I., 2002. First report of parasitism on the toxic dinoflagellate Alexandrium minutum Halim. Estuar. Coast. Shelf Sci., 50(1), 109-113. Franco J.M., Fernandez P. & Reguera B. 1994. Toxin profiles of natural population and cultures of Alexandrium minutum Halim from Galician (Spain) coastal waters. J. Appl. Phycol. 6: 275-279. Garc�s, E., Bravo, I., Vila, M., Figueroa, R.I., Mas� , M., Sampedro, N., 2004. Relationship between vegetative cells and cyst production during Alexandrium minutum bloom in Arenys de Mar harbour (NW Mediterranean). J. Plankton Res. 26 (6), 1�9. Giacobbe M.G, Oliva F.D, Maimone G 1996. Environmental factors and seasonal occurrence of the dinoflagellate Alexandrium minutum, a PSP potential producer, in a Mediterranean lagoon. Est Coast Shelf Sci 42: 539-549. Grzebyk, D., Bechemin, C., Ward, C.J., Verite, C., Codd, G.A., Maestrini, S.Y., 2003. Effects of salinity and two coastal waters on the growth and toxin content of the dinoflagellate Alexandrium minutum. J. Plankton Res. 25(10), 1185-1199. Guiry, M.D. 2006. Species detail Alexandrium minutum Halim AlgaeBase version 4.1. World-wide electronic publication, National University of Ireland, Galway. AlgaeBase is available from: http://www.algaebase.org; Alexandrium minutum information is available from: http://www.algaebase.org/speciesdetail.lasso?species_id=52068&-session=abv3:82D8BFA71695a0654EuWx3A65799 [Accessed 10 November 2006]. Halim Y. 1960. Alexandrium minutum, n. gen. n. sp. dinoflagell� provocant des �eaux rouges�. Vie et Milieu 11: 102-105. Hallegraeff G.M., Steffensen D.A. & Wetherbee R. 1988. Three estuarine Australian dinoflagellates that can produce paralytic shellfish toxins. J. Plankton Res. 10: 533-541. Hansen, G., Daugbjerg, N., Franco, J.M., 2003. Morphology, toxin composition and LSU rDNA phylogeny of Alexandrium minutum (Dinophyceae) from Denmark, with some morphological observations on other European strains. Harmful Algae 2, 317-335. Lim, P., Leaw, C., Usup, G., Kobiyama, A., Koike, K. and Ogata, T. 2006. Effects of Light and Temperature on Growth, Nitrate Uptake, and Toxin Production of two Tropical Dinoflagellates: Alexandrium tamiyavanichii and Alexandrium minutum (Dinophyceae), Journal of Phycology 42: 786�799. Montresor, M., Marino, D., Zingone, A., Dafnis, G., 1990. Three Alexandrium species from coastal Tyrrhenian waters (Mediterranean Sea). In: Gran�li, E., Sundstr�m, B., Edler, L., Anderson, D.M. (Eds. ), Toxic Marine Phytoplankton. Elsevier, New York, pp. 82�87. Summary: The North European and Baltic Network on Invasive Alien Species (NOBANIS) has developed a network of common databases on alien and invasive species of the region. By establishing a common portal access to IAS-related data, information and knowledge in the region is facilitated. The NOBANIS network has a national contact in each of the participating countries - Denmark, Estonia, Finland, Faroe Islands, Germany, Greenland, Iceland, Latvia, Lithuania, Norway, Poland, Sweden and the European part of Russia. Oshima Y., Hirota M., Yasumoto T., Hallegraeff G.M., Blackburn S.I. & Steffensen D.A. 1989. Production of paralytic shellfish toxins by the dinoflagellate Alexandrium minutum Halim from Australia. Bull. Jap. Soc. Sci. Fish. 55: 925. Probert I, Lewis J, Denn E.E.L. 2002. Morphological details of the life history of Alexandrium minutum (Dinophyceae). Cryptogamie algologie 23 (4): 343-355. Probet, I., 1999. Sexual reproduction and ecophysiology of the marine dinoflagellate Alexandrium minutum Halim. PhD thesis, University of Westminster, London, pp. 99. Salas, M. Fde; Emmerik, M. J van; Hallegraeff, G. M; Negri, A. P; Vaillancourt, R. E; Bolch, C. J Toxic., 2000. Australian Alexandrium Dinoflagellates: Introduced or indigenous? Harmful Algal Blooms 2000. pp. 477-480. 2001. Usup, G., Pin, L.C., Ahmad, A., Teen, L.P., 2002. Alexandrium (Dinophyceae) species in Malaysian waters. Harmful Algae 1, 265�275. Van Lenning, K., Vila, M., Mas�, M., Garc�s, E., Angl�s, S., Sampedro, S., Morales-Blake, A., Camp, J. (In press). Short-term variations in development of a recurrent toxic Alexandrium minutum dominated dinoflagellate bloom induced by meteorological conditions. J. Phycol. Yoshida, M., Ogata, T., Thuoc, C.V., Matsuoka, K., Fukuyo, Y., Hoi, N.C., Kodama, M., 2000. The first finding of toxic dinoflagellate Alexandrium minutum in Vietnam. Fish. Sci. 66, 177�179.